When did it become acceptable for people to spend over $900 on a stroller on a regular basis. Suddenly Bugaboo strollers are popping up all over Somerville. My first CAR didn't cost much more than that. I used to only see them on beautifully coiffed women on Charles Street, but suddenly normal people are pushing them around. I have bought 2 new strollers in the last few months since Kaylee was born. One was a ridiculously expensive Phil and Ted E3. 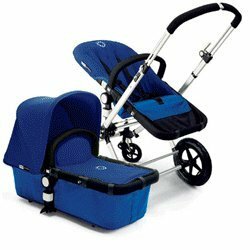 But it was the only double stroller I could find that would work in the bumpy and narrow streets of Somerville. It's got the footprint of an ordinary jogging stroller, but I can put both my kids in it. I went to every stroller place I could find and I couldn't find anything as functional. But it was not no $900. The other is a Maclaren Triumph. I have resisted the lure of the Maclaren stroller since Eric was a baby. At the time, it was the super expensive (@300 or so dollars) status stroller to have. But I liked a "Zooper" better when I tried it, so I bought that one. My Zooper had had some rough use over the past three years and it's hard to fold and not so agile any more. We also destroyed our little $60 Graco through years of abuse, so it was time. I needed a light weight, agile stroller to push Kaylee around in. The Phil and Ted is a bit cumbersome to shop with. 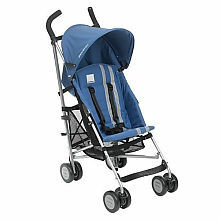 And I looked and looked But suddenly Maclaren is the only game in town for a sturdy, zippy city stroller. So, hopefully I'm done shopping for strollers for a while. I'll just sit with my mouth in vague disapproval as I watch my contemporaries push their status-symbol-0n-wheels down the street.